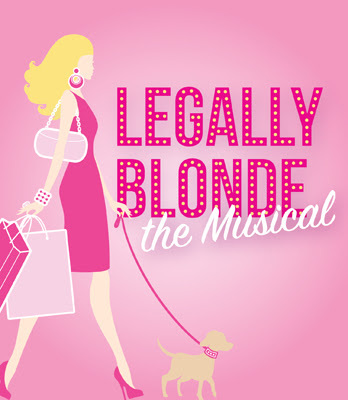 The Barn Theatre in Montville, New Jersey continues it’s 88th Season by holding open auditions on Saturday, January 23 and Sunday, January 24th for it’s upcoming production of “Legally Blonde: The Musical”, book by Heather Hach, Music and Lyrics by Lawrence O’Keefe & Neil Benjamin. Sunday, January 24, 2016 at 7:00 p.m. to 10:00 p.m.
At the Barn Theatre 32 Skyline Drive, Montville, NJ. Elle Woods appears to have it all. Her life is turned upside-down, however, when her boyfriend dumps her so he can start getting serious about his life and attend Harvard Law. Determined to get him back, Elle uses her charm to get into Harvard Law. At school, she struggles with peers, professors, and Warner Huntington. With the help of Paulette and Emmett, though, Elle quickly realizes her potential and sets out to prove herself to the world. Please prepare a song (in the style of the show), and bring sheet music in the appropriate key. An accompanist will be provided. Come prepared to dance. Headshots and resumes are not required but gladly received. Elle Woods: The quintessential Valley Girl who follows her ex-boyfriend to Harvard Law School and realizes that she has more to offer than just a pretty face and a bubbly personality. Emmett Forrest: A smart and sensitive law student who takes Elle under his wing. He is charming, quirky, loveable, and friendly. Paulette: A brash, caring, optimistic hair stylist who is friends with Elle and longs to find a man for herself. Professor Callahan: A pompous, sleezy and manipulative law professor at Harvard who is highly successful, but completely immoral. Vocal range: F#4 to A2. Warner Huntington III: A good-looking but shallow and pompous guy who breaks Elle's heart and heads off to Harvard Law. Vocal range: Ab4 to Eb3. Vivienne Kensington: A smart, savvy, and uptight law student and Warner's fiancee who initially dismisses Elle, but grows to be her friend. Vocal range: A3 to F5. Brooke Wyndam: An exercise video mogul who is also a former sorority girl. She is energetic and charismatic, yet currently on trial for murder. Enid Hoops: Feminist / Lesbian Harvard Law Student. Serena: A delta nu sorority sister / friend to Elle. Elle’s “bestie”. Sassiest of the sisters. Margot: A delta nu sorority sister/ friend to Elle. Very sweet, but also quite ditzy. Pilar: A delta nu sorority sister / friend to Elle. The 2nd “sassiest”. Supportive of Elle. Aaron Schultz: Harvard Student. Wealthy and offensively pompous. Kyle / Dewy / Chad: Track. Kyle – UPS worker. Very masculine with a masculine speaking voice. Dewy – Paulett’s loser x-husband. Chad – Rapper. Kate / Chutney: Track. Kate – spunky sorority sister. Chutney – step daughter to Brooke. Dad / Winthrop: Track. Dad – Elle’s father. Winithrop – dean of admissions – Harvard. Mom / Whitney: Track. Mom – Elle’s mother. Whitney – Harvard Student – friend to Vivienne. Carlos: Flamboyant Boyfriend to Nikos. Lowell: On the Harvard Admissions Committee. Gender: male. Age 25 – 35. Judge / Kiki / Manager: Track. Judge – presiding over Brook’s trial. Kiki – colorist in Paulette’s salon. Manager – of store where Elle Shops. Gender: female. Age 25 – 35. Various others to play Sorority Sisters / Harvard Law Students / Court Personnel / Participants in Work out Video / Patrons and Workers in a Salon / Etc. Actors are asked to arrive to sign in within the first hour of the auditions start time. All roles are available. Casting is open and newcomers are especially welcomed. Crew and other volunteers are also needed for the production. If interested, please contact info@barntheatre.org.